If you have followed me for awhile then you already know how much I love the holidays. My family (especially my mother) would go all out with decor, food, festivities, and outfits. It's my favorite time of the year. I have already started planning things/daydreaming about certain decor that I want, parties I want to throw, pictures I want to take, and blog posts that I want to do. 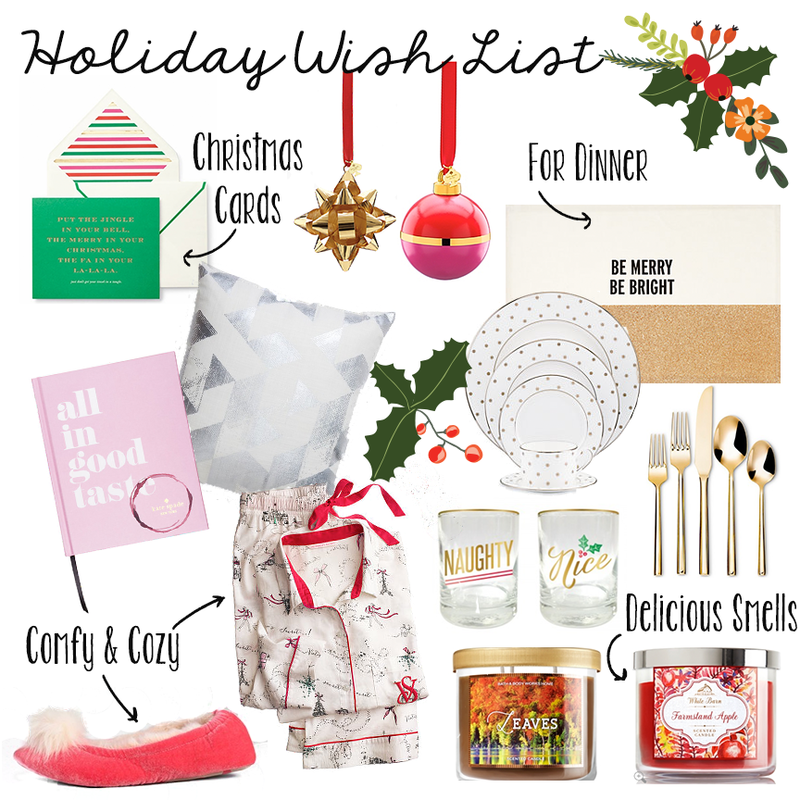 I have compiled a holiday wish list, things I would like to have for decor, items around the house, a present or too, or items that are perfect for gift giving! Have you started planning yet? What are you excited for most this holiday season? !